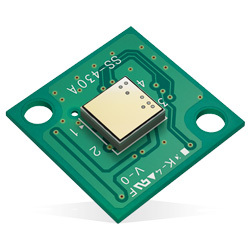 KEMET Electronics Pyroelectric Sensor Modules use the pyroelectric effect of ceramic by absorbing infrared rays emitted from the human body. This detects the natural infrared signature produced by humans. This product is available now from Mouser. These pyroelectric sensors can detect infrared rays without using lenses, providing a detection distance up to 2m. By adding a proprietary lens from the company, the detection distance can be further improved up to 5m. Proprietary lenses are offered in three different colours, allowing some design flexibility. The modules are now easier to install with the driving included in the package. The modules provide human presence detection sensing for energy-saving functions in contactless switching, office automation equipment, home appliances, lighting, display products, air-conditioners, tvs, pc monitors, rice cookers, and smart toilets.